Dr. Zilberfarb is an innovator in the field of arthroscopic surgery, improving the active lives of professional athletes and recreational sports enthusiasts across New England for over twenty years. By pursuing promising techniques and tools to advance minimally invasive orthopedic procedures, Dr. Zilberfarb’s contributions to research have resulted in a higher standard of care and faster recovery times. An acclaimed expert in his field who is invested in his patients, his community and his beloved sports teams, Dr. Zilberfarb brings his passion for an active, healthy lifestyle to every patient he encounters. As a faculty member at the Harvard Medical School, Dr. Zilberfarb teaches surgery residents-in-training and is the former director of the Meeks and Zilberfarb Orthopedics/Harvard Medical Student Sports Medicine elective. His expertise earned him the BIDMC Orthopedic Surgery Department “Teacher of the Year” award in 2007 and he captured a nomination for Outstanding Harvard Medical School teacher in 2011. 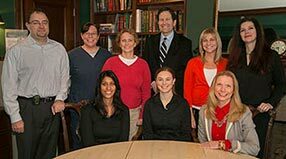 Dr. Zilberfarb came to Harvard in 1994, where he was awarded the prestigious Rowe Shoulder Fellowship at the Massachusetts General Hospital. He joined the Beth Israel Deaconess Medical Center Orthopedic Surgery Department the following year. 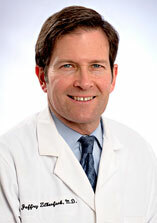 In 1997, he co-founded Meeks and Zilberfarb Orthopedic Surgery and Sports Medicine and serves as the group president. In addition, Dr. Zilberfarb joined the medical staff of the New England Baptist Hospital in 2001. Splitting his time between the Brookline office and the new center in Dedham, Dr. Zilberfarb specializes in shoulder and sports injuries. He has highly skilled expertise in minimally invasive surgery of the shoulder, elbow, knee and ankle. He treats all shoulder problems, including rotator cuff tears, instability, fractures, and arthritis; as well as upper extremity nerve compression syndromes and all lower extremity problems. Additionally, Dr. Zilberfarb performs Total Shoulder Replacement surgery, knee ACL reconstruction, meniscal tears, ankle arthroscopy and fracture surgery, and has earned a Certificate of Added Qualification in Sports Medicine. Dr. Zilberfarb was raised in Arlington, Virginia, just outside of Washington, DC. He played football and ran track in high school and he did his premedical studies at the University of Virginia, graduating in 1980. He performed arthritis research in Dr. John Davis’ laboratory and was awarded a Merck grant. He was granted a Navy Health Professions Scholarship and completed his MD at the University of Virginia in 1985. As a student there he received the Ciba-Geigy Community Service Award, founded the Ethics Club, edited the student newspaper, participated as a volunteer EMT, and was elected to the Admissions Committee. Dr. Zilberfarb did his General Surgery Internship at the Naval Hospital in San Diego, California from 1985-86. He then spent two years as a Battalion Surgeon for the 1/1 Marine Infantry Unit from 1986-88, traveling throughout the Western Pacific and becoming certified in undersea diving. He began his orthopedic residency at the Naval Hospital in San Diego in 1988 and as a resident he published several research papers on sports medicine topics. He finished his orthopedic residency training in 1992 and then spent two years taking care of Marines at Camp Lejeune Naval Hospital. He was promoted to Lieutenant Commander. An avid recreational skier, tenacious tennis opponent, and weekend cyclist, Dr. Zilberfarb embraces an active lifestyle. He is committed to seeing that every one of his patients has the opportunity to achieve optimal functionality and to accomplish the goals they set for themselves. If you are tired of living with pain, call for an evaluative appointment with Dr. Zilberfarb—a leading expert who has the experience, skills, resources, and a genuine appreciation of your commitment to a healthy, active lifestyle. You may also schedule an appointment with Dr. Zilberfarb in Brookline by calling 617-232-2663 or in Dedham by calling 781-326-1561.